After the successful debut release “Schmitzhöhe EP” BergWacht Records is now coming up with the second project “Arbol del Tule EP” by 10dens. Of course the now well-favoured „Sound of BergWacht“ turns up on this release as well, and with dutch artists Michael and Jurriën of 10dens two more appreciated ambassadors of melodic techno could be gained over. 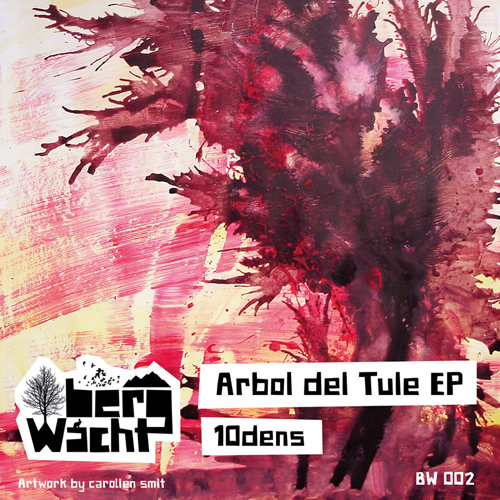 The idea of producing an EP to pay homage to the trees of our earth arised after a long-standing friendship followed by 10dens’ first gig at a BergWacht Event end of 2012. Once again this is made clear: BergWacht is a family affair. The „Arbol del Tule“ (tree of Tule) in Mexico is the thickest tree in the world. Equally phatt is the bassline, that directly brings it to the front on A-Side. Soon, selected percussions and a harmonic touching melody merge into a wide, drifiting and soulfully sound-carpet. With slick modulations and different synthies, this carpet takes you away on a journey through the track’s arrangement. The highest living trees on earth belong to the species of the evergreen Redwood tree. Using gentle chords, first track “Redwood” on B-Side carries you off into the treetops of a mystic forrest, just to bring you down to earth some moments later with a kicking drumset. Striking surfaces and whizzing, stomping sounds provide for a well-rounded rave-factor, that is constantly built up to the end through changing melodic elements and breaks. „Montezuma“, last tree and track on this EP, is a real musical plank. Playful tones are dancing over wooden kick and stunning subbass and couple with blurred effects. Here, too, the arrangement convinces in setup and structure performs magic to this perfect peaktime bomb.